The longtime critic of wind energy says he's acting 'to protect our natural beauty,' and allows the new panel to craft regulatory changes without public scrutiny. AUGUSTA — Gov. Paul LePage imposed a moratorium Wednesday on new wind energy projects in western and coastal Maine while establishing a secretive commission to study how wind turbines affect the state’s tourism economy. LePage, a longtime critic of wind energy, issued an executive order prohibiting state agencies from issuing permits “related to wind turbines” in western and coastal Maine, on coastal islands and along “significant avian migratory pathways.” The moratorium would remain in place until a new Maine Wind Energy Advisory Commission – which will have meetings that are closed to the public and not subject to Maine’s Freedom of Access Act – reports on wind power’s economic impact and recommends potential regulatory changes. Gov. LePage: "While out-of-state interests are eager to exploit our western mountains in order to serve their political agendas, we must act judiciously to protect our natural beauty." He ordered the moratorium one day before Massachusetts regulators are expected to announce the initial round of winners of a bidding competition to supply huge amounts of renewable energy to the Bay State. With several Maine-based wind projects vying for the lucrative contract, both supporters and critics of LePage’s action said the executive order appeared timed to send a message to Massachusetts about the prospects for new wind projects in Maine. Payne called LePage’s moratorium a “regulatory taking.” He was among several people who questioned its legality, even predicting a court challenge from landowners if the governor persists with the plan. But Chris O’Neil, a consultant who often represents wind energy critics in Augusta, hopes the governor’s executive order influences the Massachusetts deliberations. Attorney General Janet Mills said her office had not reviewed whether the moratorium was legal given the existing statutes regulating wind power. However, Mills also had questions about potential impacts on UMaine’s offshore wind project. “Does it affect the major investment we have made into offshore wind power development? Because that would be a taking a major step backward if the effect of the executive order would be to hamper Maine’s research” on the technology, said Mills, a Democrat seeking her party’s nomination to succeed LePage. 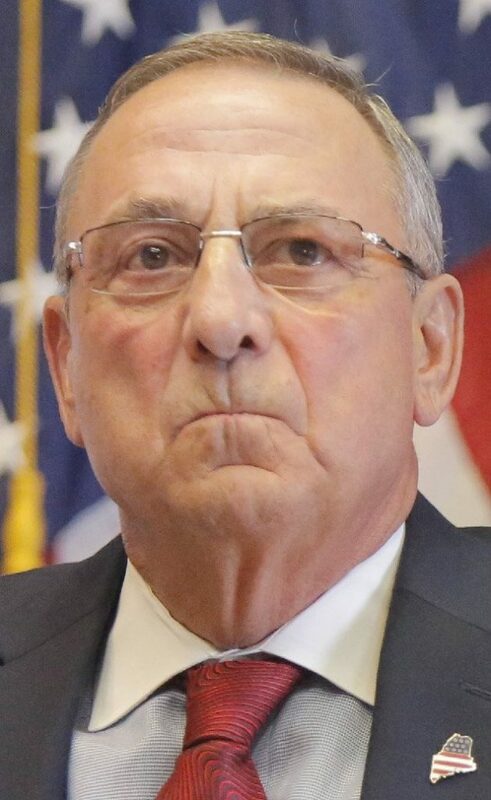 LePage has been a persistent critic of the wind and solar energy industries in Maine, suggesting such renewable technologies drive up electricity costs for ratepayers and cannot compete without government subsidies. Steve McGrath, director of the Governor’s Energy Office, said LePage would be “all in” on wind energy if it was the cheapest source of power. Instead, LePage has continuously pushed to import hydropower from neighboring Quebec. Notably, one of the proposals vying against the wind-related projects in the Massachusetts contract competition is a joint agreement between Central Maine Power Co. and HydroQuebec for a 145-mile transmission line between Canada and the Bay State. LePage is finalizing the language of a bill that would propose changes to Maine’s controversial expedited permitting system for wind energy projects in areas of rural Maine. McGrath declined to provide specifics, but said the bill will address LePage’s concerns over impacts on tourism. LePage’s moratorium and commission were quickly denounced by organizations and political leaders who already view Maine’s Republican governor as hostile to “green” energy. There is no dispute that commercial wind power projects can be controversial in Maine, especially among nearby landowners concerned about 400-foot-tall turbines marring their views or about the effects of vibrations and light flicker caused by spinning blades. The Moosehead Region Futures Committee, a citizen group that has been fighting proposals for commercial wind projects near Moosehead Lake, cheered LePage’s move Wednesday. 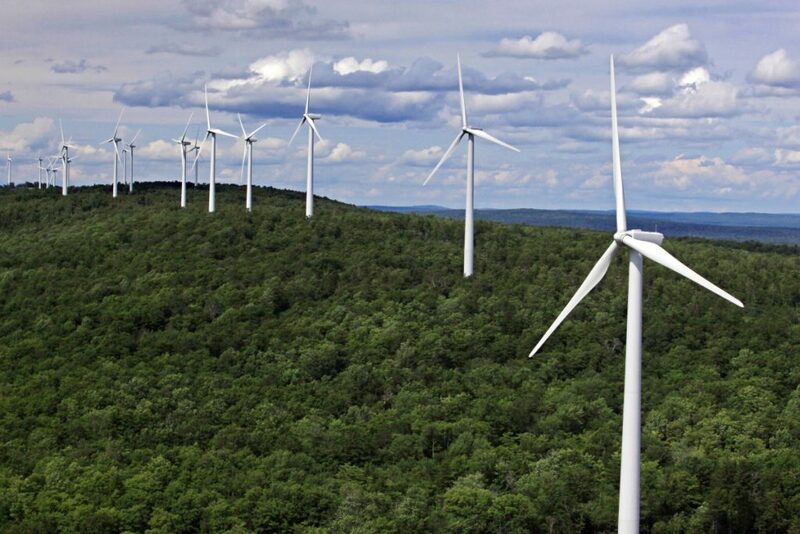 Yet wind energy appears to have strong support among Maine residents, according to polls. And the governor’s critics also point out a disconnect between LePage claiming to want to protect the state’s “natural beauty” from wind turbines while he pushes for commercial mining in Maine and remains open to oil drilling in the North Atlantic. LePage is using a 2009 addition to Maine’s Freedom of Access Act law to exempt his wind advisory commission from public view. Because it is exempt, the commission will not be required to release agendas, minutes or documents that guide any recommendations to change Maine’s wind power regulations. McGrath, the energy office director, will lead the commission and help recruit the 11 to 15 individuals who will serve on it. The commissioner of the Maine Department of Economic and Community Development, George Gervais, will make the appointments to the advisory commission. Correction: The story was updated at 11:44 a.m. on January 25, 2018 to clarify who will make appointments to the wind advisory commission.